MADISON, Wis. — For athletes and weekend warriors alike, returning from a tendon injury too soon often ensures a trip right back to physical therapy. However, a new technology developed by University of Wisconsin-Madison engineers could one day help tell whether your tendons are ready for action. "Currently, wearables can measure our movement, but do not provide information on the muscle forces that generate the movement," says Thelen, whose work is supported by the National Institutes of Health. This phenomenon is similar to a guitar string, where the tension in the string changes the vibrational response. When a guitar string is plucked, the speed of the wave traveling along the string, and thus the vibration frequency, is related to the tension, or force, applied to the string. "We've found a way to measure the vibrational characteristics — in this case, the speed of a shear wave traveling along a tendon — and then we went further and determined how we can interpret this measurement to find the tensile stress within the tendon," Thelen says. The new system for measuring wave speed is portable and relatively inexpensive. It includes a mechanical device that lightly taps the tendon 50 times per second. Each tap initiates a wave in the tendon, and two miniature accelerometers determine how quickly it travels. 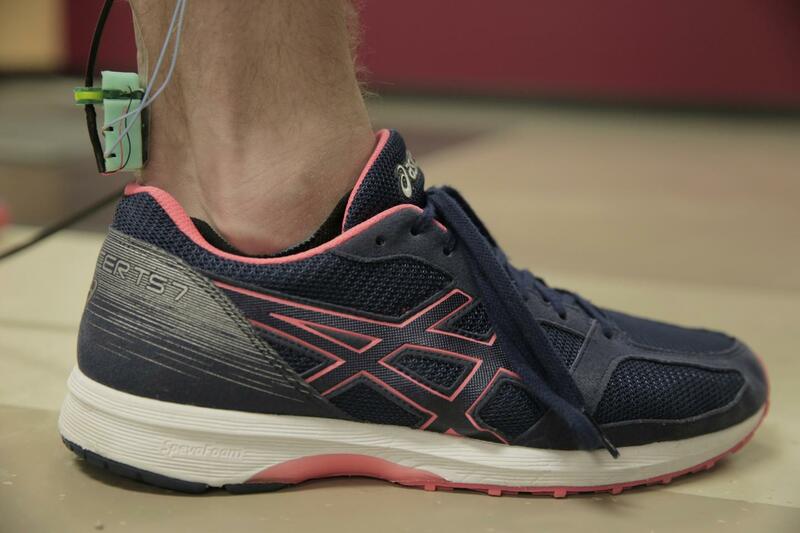 The researchers have used the device to measure forces on the Achilles tendon, as well as the patellar and hamstring tendons. In each case, they can measure what happens in the tendon when users modify their gait — for example, by changing step length or speed. "We think the potential of this new technology is high, both from a basic science standpoint and for clinical applications," Thelen says. "For example, tendon force measures could be used to guide treatments of individuals with gait disorders. It may also be useful to objectively assess when a repaired tendon is sufficiently healed to function normally and allow a person to return to activity." This research was supported by grants from the National Institutes of Health (AG051748 and HD092697) and a graduate research fellowship from the National Science Foundation.